What if you want a WordPress website and a Lead Generating CRM solution? Back and forth, forth and back. Meanwhile paying a fee to host your site and paying a fee to host your leads. Otherwise, your stuck having to sign up for one of the proprietary website builder’s products to get the CRM solution and pay a mega monthly fee. Then I found this option. The “HubSpot – Free Marketing Plugin for WordPress” team was an experimental team inside of the marketing software company HubSpot. Whose mission was to build simple marketing software for small businesses on WordPress. Hubspot’s full-scale solution starts at $200 month. That is a bit steep for most of my clients. Initially, this plugin was rolled out as a beta in the name of Leadin, a division of the Hubspot company. As of this update, Hubspot has decided to roll the Leadin Plugin directly into the Hubspot offering. And almost unbelievably they are offering it with even more power and still FREE!! At first, I thought it was too good to be true. But every once in a while a plugin comes along that actually does what it says. And this is one. I have long since been a fan of Hubspot Marketing Software and actively promote it on this site and often reference their marketing material. They are a solid company built on a solid foundation. What is “HubSpot – Free Marketing Plugin for WordPress”? Long answer: A contacts tracking, how many email addresses am I collecting and where are they coming from? Analyzing, Email Marketing pushing, Email Subscribe Widget/Pop-up creating, Lead Prospecting, CRM super tool. 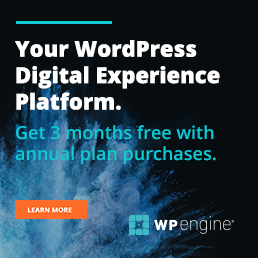 All from the convenience of your WordPress dashboard. Sounds too good to be true right? I know I thought that as well. Must be buggy, or glitchy right? It is not. I have tested the plugin on my site for about 2 years. And it just started working right out of the box. The whole thing takes about 5 minutes to set up. And Boom! You are generating Smart Leads! How Does “HubSpot – Free Marketing Plugin for WordPress” Work? Go to the Hubspot Settings and create a new account. Add your name and create a password. THIS MAY BE THE COOLEST PART: Leadin automagically syncs with the forms on your site to start collecting and tracking your leads. Those contacts will be stored and viewable in your WordPress dashboard under “Contacts”. Even if you don’t use their pop-up widget you can still start collecting leads, dynamic contact information, and push them into your email marketing campaign. The plugin will work if you do not create a lead flow. It will start to consolidate all of your leads that are captured off of other forms. If you want to start turbo charging your lead generation than you can create a Lead Flow. The callout. This is the initial, miniature version of the call-to-action that will grab your visitor’s attention. The form. This is where your visitor gives you their information and becomes a lead in your system. Slide-in boxes are subtle and friendly. Use them to promote your content or add to your blog subscriber list. Dropdown banners are prompt and helpful. Use them to promote time-sensitive offers (like a sale or a webinar) or to encourage new subscriptions to your frequently updated blog. Form text, choose what information you would like to capture, form button, and language. Give your Lead Flow a name, decide when and how you want it to display, and enter the email address you would like new leads sent to. All the leads that are collected on your site are beautifully stored in your Hubspot dashboard under the Contact tab. If you select a lead you can get more detailed information on that lead’s personal contact page. Hubspot gives you context for your conversations by automatically finding publicly available information about each of your contacts and letting you see what they are interested in. Would having this kind of information about your leads be helpful. We think so. Hubspot also gives you a pretty comprehensive set of analytics to help track your progress. You can use this data to find out what content and traffic sources convert the best. The simple analytics page shows you what content and sources are driving the traffic. No more complicated Google Analytics reports. Once logged in you will notice a purple help button. You can simply click on that bubble to start a chat with the Hubspot team if you are having any issues with the plugin. …the Leadin plugin has been very useful so far in giving us an idea of the actual visitor paths to our contact forms vs. the paths we’ve intended. No reason not to use this plugin. Super easy to install. Great support team. Streamlined access to intelligence about people who comment on your blog posts or who fill out any form on your website. “HubSpot – Free Marketing Plugin for WordPress” is a free WordPress CRM plugin. It offers a simple to set up and simple to use WordPress Dashboard based lead collection and lead management system. You can use the provided pop-up widget to collect leads. The plugin syncs with your current website forms. The plugin collects as much public information as possible using the email address. The plugin provides simple to use analytics to track progress. You said it will sync with any form on your website – what about the registration form from IDX part of your website? I tested and it doesnt seem to be syncing? It has synced with all the forms that I had tested with. I am not sure what IDX service you are using… is it possible the form is not on your website? Leadin would be better to ask about this… but those forms are not technically on your site. It is a Genesis child theme by ZigZagPress. Lead in looks very interesting, but have you tried Zero BS CRM? We’re 1 year into building it out and we’re really, really keen to make this EPIC for real estate customer management. Be interested to get in touch and maybe get you a review copy? Well I like the name. Hit me up jason @ jason fox.me I would love to check it out. So this means that I would have to pay the $200 / mon plus the $100 add-on for Hubspot to be connected ( this is what Hubspot tells me), or use Zapier? It does not work through the plugin alone correct? If someone fills out the lead ad form, if I don’t have anything else connected, it will just go to the Facebook page portion where I can download names. If I do an IDX link in the ad, and someone fills out the form, I will get their info in the Facebook page. I know there are a lot of great apps and systems out there, I am just trying to figure out what works best for me. I also didn’t catch right away that website page history by a customer is the $50 / month Hubspot starter plan. So most of your customers are using Zapier and maybe the $50 Hubspot plan? Facebook Ads is a seperate entity of course… and yes it looks like the only way you can get those leads automated to ANYTHING is through Zapier. Otherwise you have to download them as a CSV and import them into some type of CRM. I have not tried the Hubspot and Facebook integration to understand that part of your question. I use MailChimp as my Email Newsletter so I have all leads dumped into there. I do use Zapier from Facebook. And my Hubspot plugin does it as part of their service. I do not use the Hubspot plan at all. If you already signed up for the free Hubspot CRM, when you use the plug in for WordPress, can you just log in with that account or do you have to create a new one? Just use the account you have already created. Thanks its a great selection of CRM plugin’s , there’s another list of top of the line wordpress crm plugin on: wpblog. I found them very useful, Do have a look at them too.